Evan oversees PEBB’s construction activities, including ground up and re-development projects and tenant build-outs. 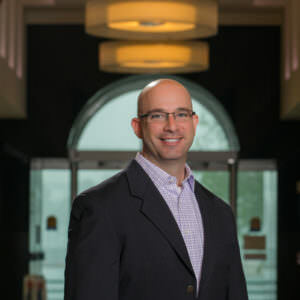 Evan has over 17 years of construction and real estate experience from the field, preconstruction, project management and development positions. Prior to joining PEBB, Evan worked as a Senior Project Manager for Suffolk Construction overseeing several large-scale construction projects. Earlier in his career, Evan held multiple positions with the Stiles Corporation. As a Preconstruction Manager, he worked on various types of projects including retail, commercial, educational, and athletic facilities. Also, as a Development Manager, Evan executed the delivery of several multi-million dollar retail development projects. Evan graduated with a B.S. in Building Construction from University of Florida and an M.B.A. with a Real Estate Specialization from Florida Atlantic University. He is a member of the International Council of Shopping Centers (ICSC), The Urban Land Institute, and is a LEED AP BD+C.